In response to the first video uploaded by the Hanafi fiqh channel (HFC) they presented that Allamah Rabbani Shaikh Muhammad Nasir al-Din al-Albani declared a hadith weak in Sahih al-Bukhari. 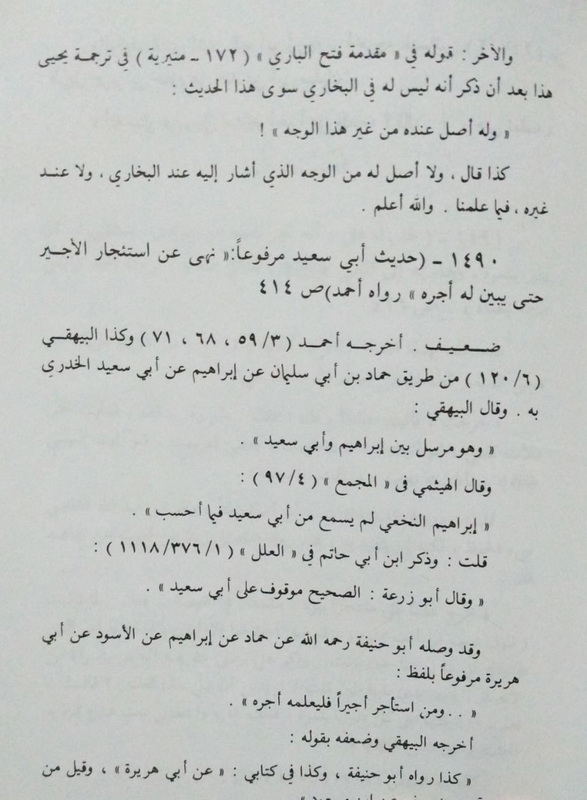 They say Shaikh al-Albani weakens this Hadith in Da’if al-Jami (al-Saghir) of Hafiz Suyuti and they present a small scan of the grading on the top right of the video. THE FIRST POINT – Ignorant Hanafi Muqallids! The presenters of these points are hanafi muqallids, the calamity is that not only are they not scholars, but they are in actual fact – ignorant blind followers of the hanafi madhab and they have no credentials whatsoever to present these points as they are not scholars. Rather, they adamantly believe they are hanafi muqallids and the job of the muqallid is only but to make taqlid. So we ask them, which hanafi scholar has preceded the hanafi fiqh channel in presenting this point. If they acknowledge they are ignorant muqallids, why are they exceeding their remit as muqallids of the hanafi madhhab. 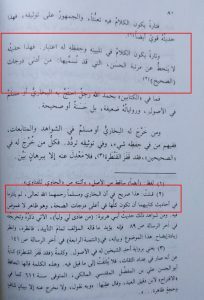 If they claim the hanafi madhhab allows its followers to do research and present intricate detailed points related to Sahih al-Bukhari, as well as the array of sciences associated with Bukhari combined with the details of the science of hadith, then show us which hanafi scholars has preceded you in allowing you to do this? 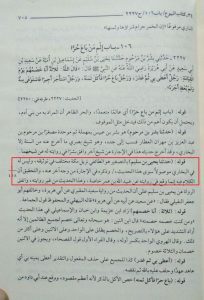 Furthermore, as it relates to this point, the hanafi muqallid who presented this point under the Hanafi fiqh channel, contradictory to his madhhab, reads a hadith from Sahih al-Bukhari with a screen image of bookcase with dated books. Seriously brothers, how does a hanafi muqallid go from reading a hadith from Bukhari with all those books behind him while he still remains an ignorant hanafi muqallid? Is it not the case that the aim is to feign Islamic knowledge while projecting an academic scholastic approach? I leave you to decide for yourselves. Seriously, what are some hanafi fanatical muqallids doing in bradford trying to talk about Sahih al-Bukhari and the hadith gradings of Shaikh Muhammad Nasir ud Din al-Albani? THE SECOND POINT – Why Single out Bukhari? 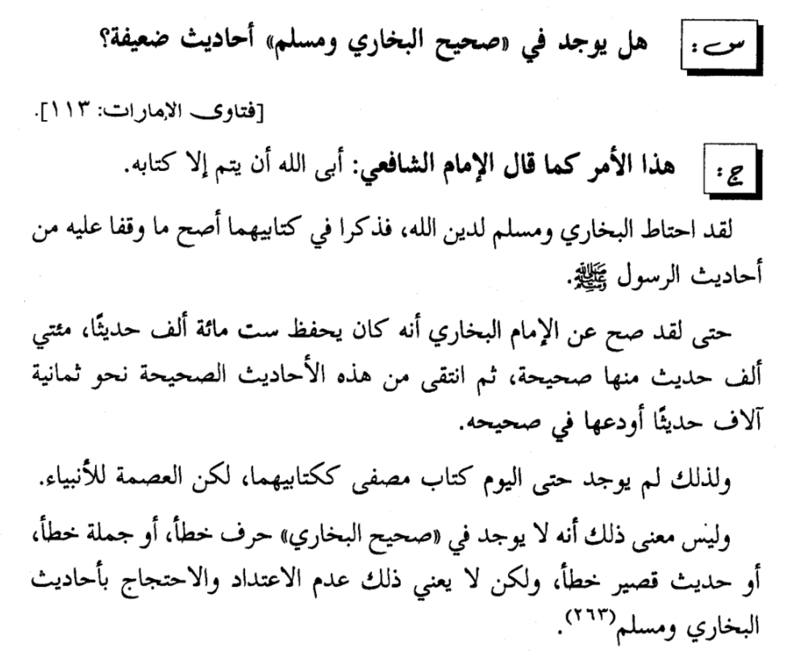 Shaikh al-Albani does not and has not categorically graded the hadith in Sahih al-Bukhari weak in the Jam’e al-Saghir. 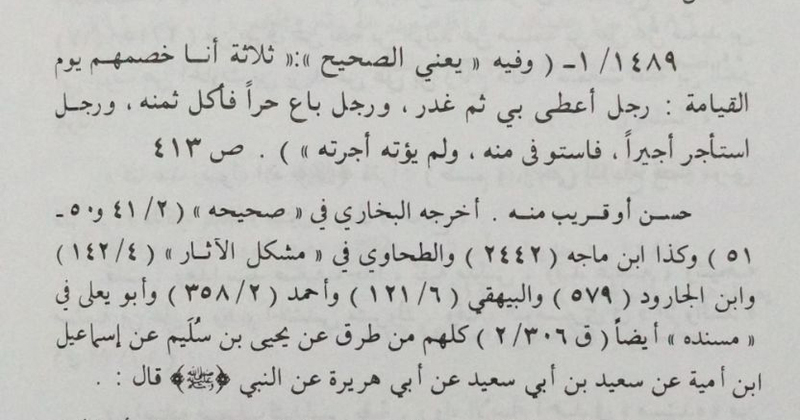 Hafiz Suyuti references the hadith to the Musnad of Ahmad (حم) as well as Bukhari (خ) and not just Bukhari, this is the first point to be noted. The video of HFC, surprise surprise, employ their usual ‘unique’ tactics and gloss over the fact that the hadith is also in the Musnad of Ahmad. 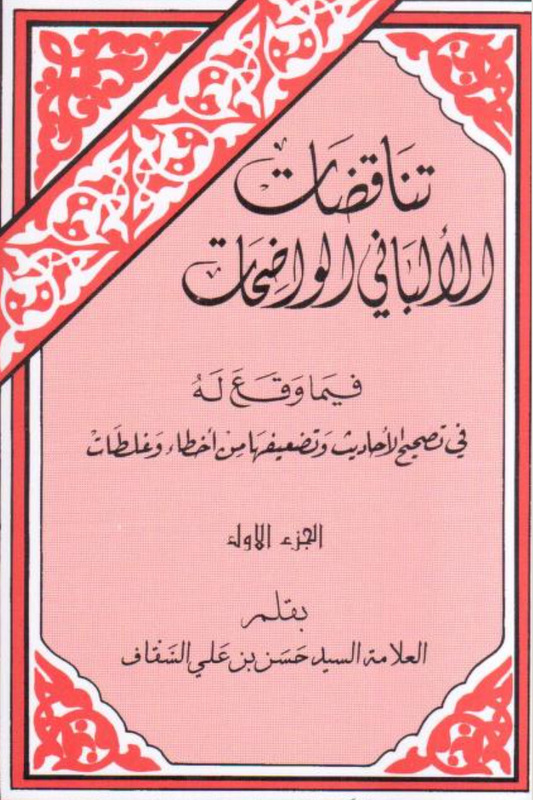 Thus HFC present to the audience the hadith is only in Bukhari, the very same hadith Shaikh al-Albani grades weak. 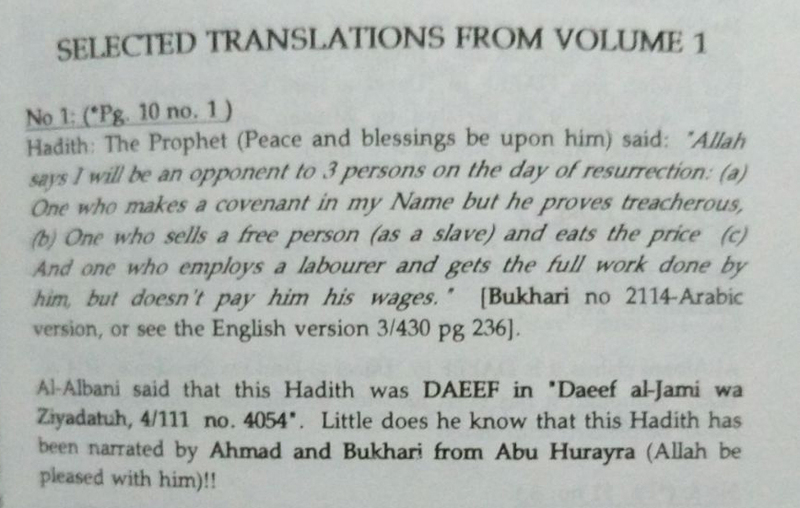 In perspective, Hafiz Suyuti includes this hadith in his Jam’e al-Saghir and references it to Musnad Ahmad and Bukhari. Shaikh al-Albani grades it weak and then HFC come along and say Shaikh al-Albani grades the hadith in Sahih al-Bukhari weak. This is an exerted effort to direct false impressions against Shaikh al-Albani. 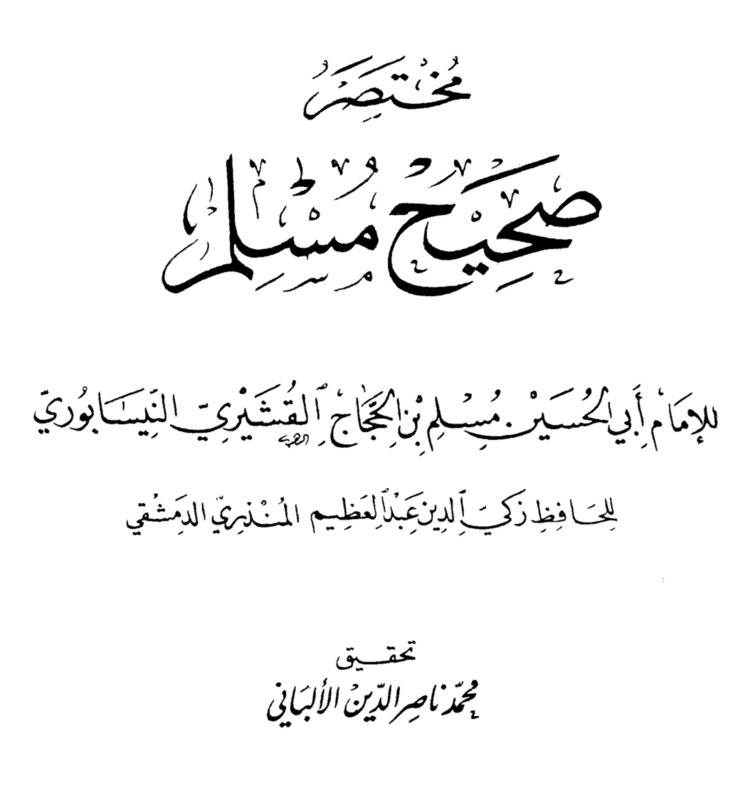 Shaikh al-Albani applied the methodology of the scholars of hadith to the verification and authentication of hadith. It was not based on wishful thinking or bigoted partisanship, rather it was honest and upright application of the science of hadith. 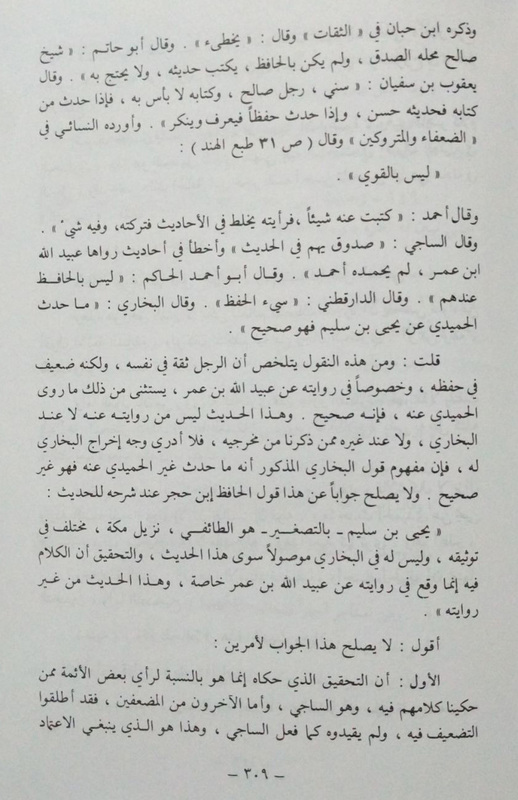 In Part 3 we added the statement of Shaikh al-Albani himself explaining his reasons. Shaikh al-Albani was known and is still known as a scholar of the Sunnah, who defended and clarified the Sahih hadith from the weak. 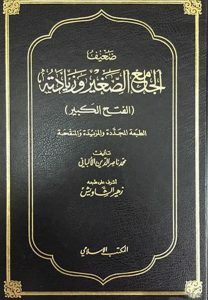 The HFC video is presented in a repugnant manner attempting to highlight and portray Shaikh al-Albani undermined and discredited Sahih al-Bukhari. This was also a miserable attempt to malign the Shaikh and equate him with those who rejected and refuted the hadith in Sahih al-Bukhari and Sahih Muslim i.e. the Sahihayn. 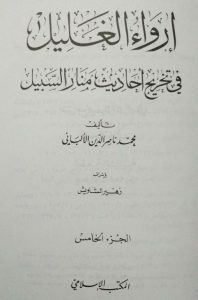 Shaikh al-Albani applied the framework and the established blueprint for researching hadith, their verification and gradings. 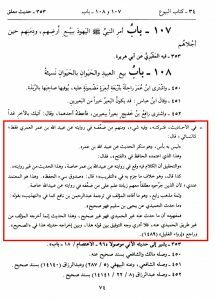 Therefore, this was a brazen endeavour to discredit Shaikh al-Albani and the Salafi’s by saying the Sheikh graded hadith in Sahih al-Bukhari weak. As Muslims, we should always research issues with an open, fair and just mind. 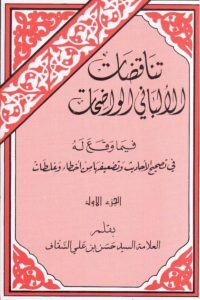 There should be a clear distinction between the approach of Shaykh al-Albani and the modern day rationalists to the hadith of Sahih al-Bukhari, where the latter only desire to reject and cause doubts pertaining to the Prophetic hadith and the former applies the sciences of hadith based on reading and research. Shaikh al-Albani said in clarification of position. “How can the Sahihayn have the same status (as the Sunans), they (the Sahihahyn) are the most authentic books after the book of Allah with the agreement of the Muslim Scholars from the Muhaddithin and others. They have superiority over the books of Sunan as they collated the most authentic ahadith as the Sahihs. They separated and left the weak ahadith and those with objectionable texts, which they based on strong principles and intricate conditions. They had unprecedented success, such that was not given to those after them who collected Sahih ahadith from the likes of Ibn Khuzaimah, Ibn Hibban, al-Hakim and others. 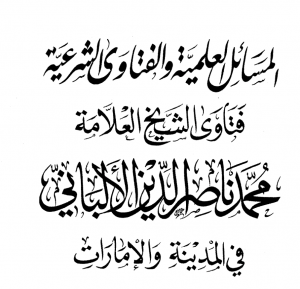 Dear Readers, you have read the status and position of Bukhari and the Sahihayn according to Shaikh al-Albani from his Muqaddimah of Sharh Aqidah al-Tahawiyyah and his Mukhtasar Sahih al-Imam al-Bukhari. 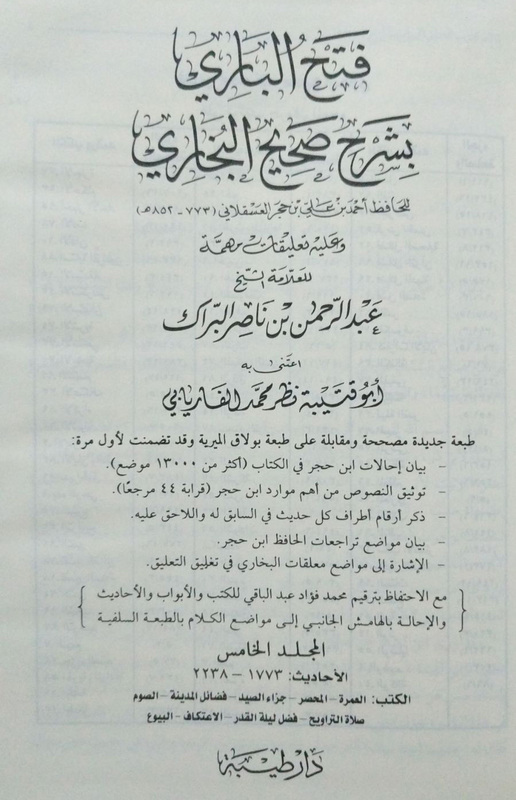 The former, was printed by a Hanafi Deobandi publishing house in Karachi Pakistan. We also find from this excerpt the view of Shaikh al-Albani, his reverence for the Sahihayn is not what the HFC falsely presents when they distort this presentation and say Shaikh al-Albani “attacked” this hadith (video timestamp 2:44). Do you see the deception, gross distortion and deliberate misrepresentation? 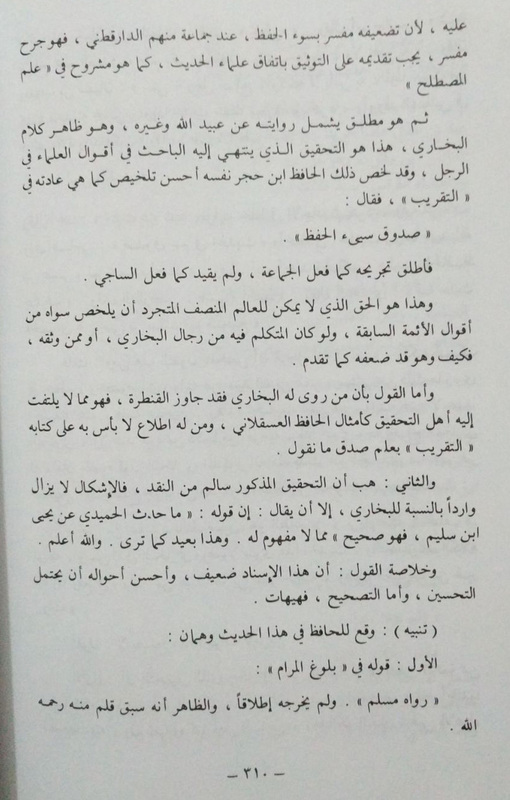 THE FIFTH POINT – Shaikh al-Albani did not Grade this Hadith in Bukhari Weak! 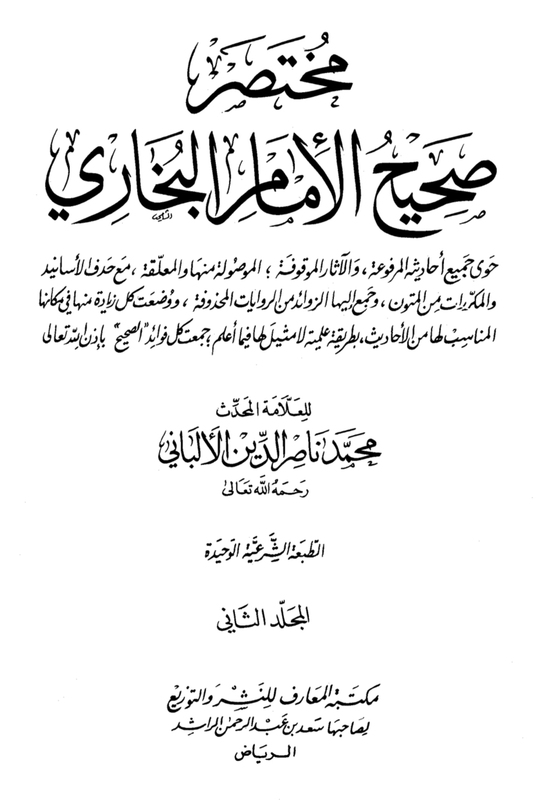 Shaikh al-Albani also discusses some of the contentious narrations and additional wordings to ahadith in the introduction of Mukhtasar Sahih al-Imam al-Bukhari and he mentions this hadith as one of the ones there is a issue with. However, nowhere at all does he grade them weak and categorically says they are Da’if. This is further supported by two later works of Shaikh al-Albani’s where he further discusses this hadith, which is to proceed, In Sha’ Allah. Shaikh al-Albani’s discusses this hadith in two separate works which are later than the Da’if al-Jam’e al-Saghir and hence serve as his last view and hence regarding of this hadith. It must be noted, and this will only be understood and appreciated by the students of hadith, not by the hanafi muqallids, that there is is a difference in saying the hadith is weak and the isnad is weak. This is not unknown to even the beginner student of hadith. 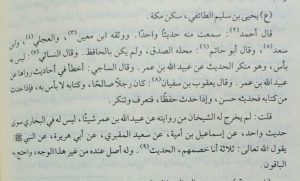 So we find Shaikh al-Albani grading this hadith to be Hasan or very close to it, when he said “Hasan or Qaribu minhu” An interesting point to note here is that sheikh al-Albani himself references the hadith to Sahih al-Bukhari in the referencing. 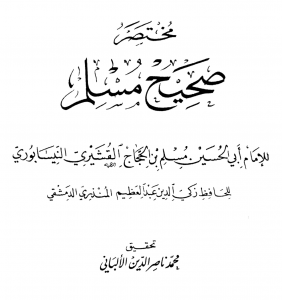 So, dear readers, we see that Shaikh al-Albani graded the very same Hadith Hasan. I ask where are the HFC boys now? The grading of Hasan or very close to it is an indication that there is a concern with the chain. The hanafi scholars themselves have said similar things like this, that not every hadith in the Sahihayn is 100% Sahih and some of them are not of the highest degree of Sahih. The revered hanafi Abdul Fattah Abu Guddah has said this, which has been reiterated by the likes of G.F.Haddad and others. 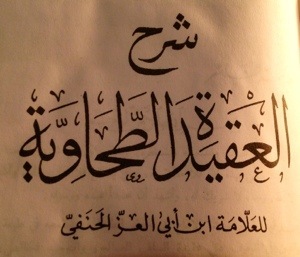 In Sha’ Allah we shall reproduce this later. This is what I (i.e. al-Albani) relied upon because those who outrightly criticised him had more knowledge compared to those who weakened him specifically in the narrations from Ubaidullah bin Umar. 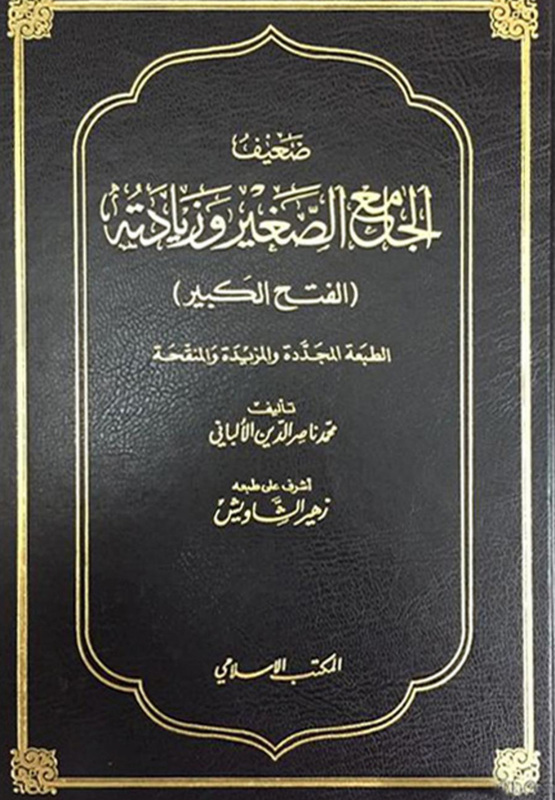 Dear Readers, this scrutiny of the hadith, its chain based on the sciences of hadith is very clear and the presentation of Shaikh al-Albani is riddled with justice, fairness and the application of the sciences. In fact, it is so precise and meticulous that Shaikh al-Albani refers to the words of Imam Bukhari himself while scrutinising the hadith. 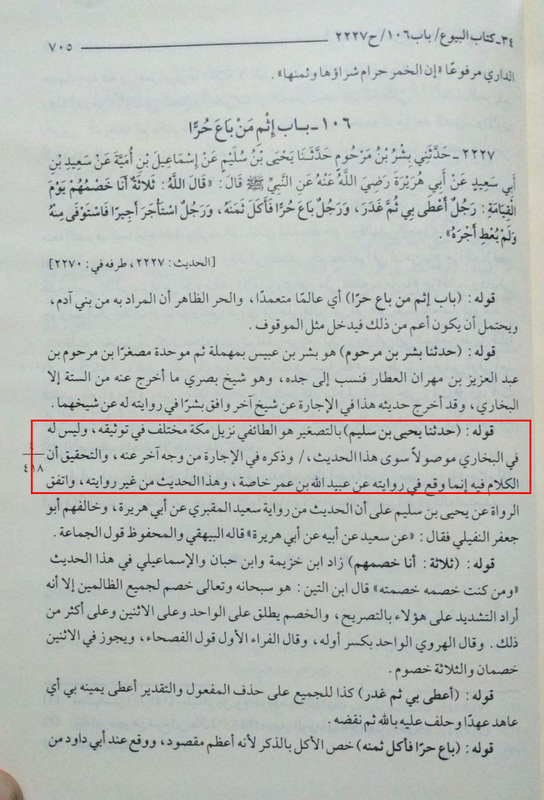 Dear readers, is the statement that “The hadith is Hasan or near it” and “I do not know how to reconcile between this statement and the fact that this hadith is transmitted in the Sahih,” not fair and just which show the knowledge and stature of Allamah Rabbani Shaikh Muhammad Nasir ud Din al-Albani? “I say: The summary of these statements is that the narrator is in essence trustworthy however he is weak in terms of his memory, especially in his narrations from Ubaidullah bin Umar and excluded from this is whatever al-Humaidi narrates from him, which is Sahih i.e. authentic. This hadith is not narrated via al-Humaidi from him (i.e. Yahya) and neither is it the one Bukhari transmits and nor has anyone else transmitted it in this manner. I do not know from which angle al-Bukhari transmitted it from him as the understanding of Bukhari’s earlier statement that anything transmitted from other than al-Humaidi from him is not authentic. 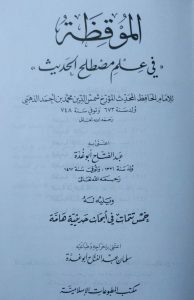 Shaikh al-Albani then goes onto answer this view of Hafiz Ibn Hajr, in summary he says the scholars said Yahya has a bad memory and those who restrict his hadith from Ubaidullah bin Umar being weak are incorrect because the statements of the scholars are detailed and hence cannot be restricted. Also that a group of scholars including the likes al-Daraqutni have weakened Yahya due to his poor memory is understood as detailed criticism. 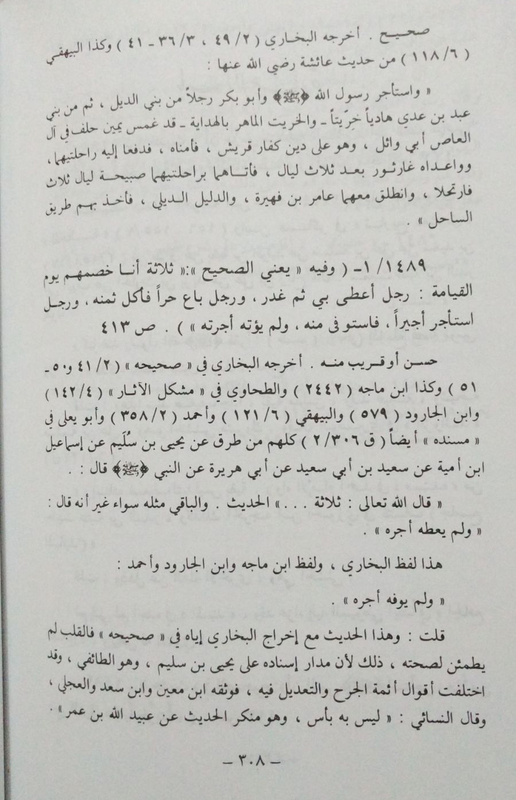 Shaikh al-Albani goes onto say that al-Hafiz Ibn Hajr himself has summarised the statements of the scholars when he in al-Taqrib that Yahya bin Sulaim is truthful but had poor memory. 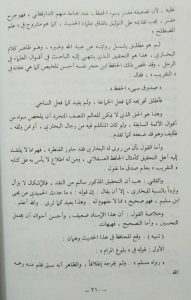 Dear readers, this is the reality of the so call attack of Shaikh al-Albani on Sahih al-Bukhari, where we have shown how the Shaykh used the words of the Imams of Ahlus Sunnah themselves and even the words of Imam Bukhari himself, likewise and similarly the understanding and grading of al-Hafiz Ibn Hajr when he presented his scrutiny and analysis of this particular hadith. 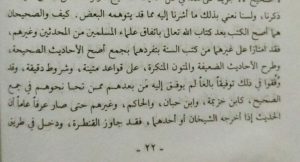 al-Hafiz Ibn al-Hajr in his entry in the Tahdhib al-Tahdhib mentions statement of praise and criticism from the scholars of hadith and rijal. 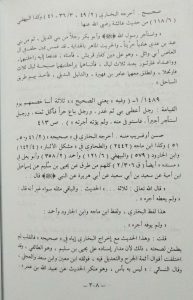 At the end of the biographical note he summarised his view by saying, “I say..” and then he goes onto mention his conclusion without any specific words but cites the statements from the Imams and Scholars of hadith and rijal who say Yahya was Hasan, truthful, Saleh, his hadith are written, trustworthy, there is no harm in him, and also that he is not strong, he would confuse hadith, weak, made mistakes in hadith, he did not preserve hadith and had weak memory. 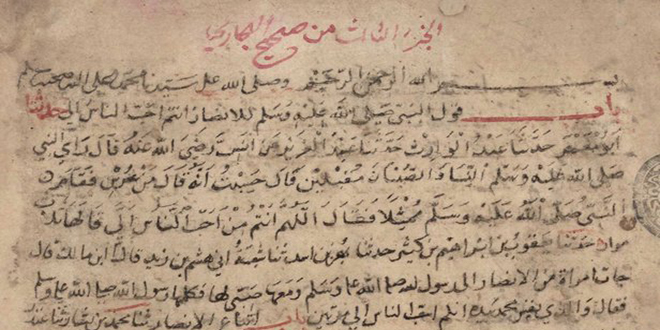 We find that even al-Hafiz Ibn Hajr knew that some of the earlier critical analysts scrutinised this narrator and Shaikh al-Albani was not the first. 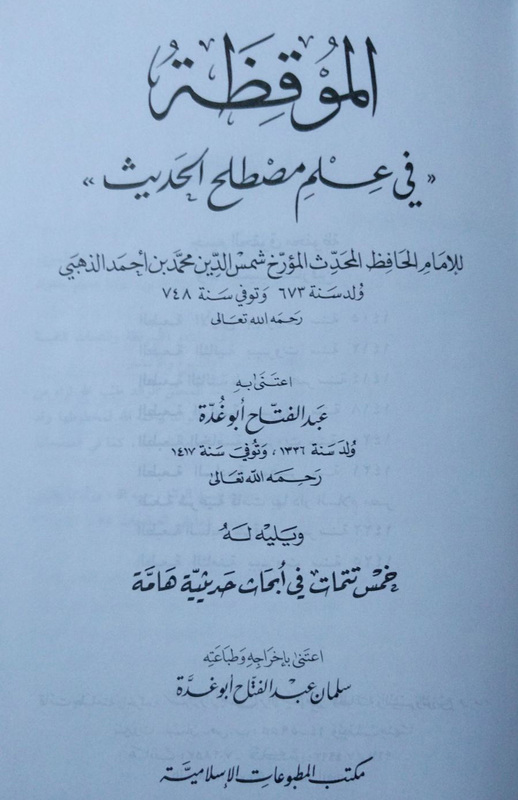 We also learn of Hafiz’s own grading of Yahya and his reservations about the chain as well as Imam Bukhari’s statement concerning the transmission of al-Humaydi via Yahya bin Sulaim. 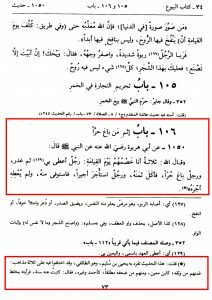 THE NINTH POINT – Many Scholars of Hadith have Weakened, Criticised and Disagreed with Ahadith in Sahih al-Bukhari, Why Only Attack Shaikh al-Albani? Many Imams, Scholars of Hadith and critical analysts have criticised numerous ahadith in Sahih al-Bukhari as well as the narrators. From the likes of Imam Muslim, Imam Abu Zur’ah, Imam Abu Hatim, Imam Abdur Rahman ibn Hatim, Imam Dhuhali, Imam al-Daraqutni, Imam Abu Dawud, Imam al-Tirmidhi, Imam al-Nasa’i, Imam al-Bayhaqi, Imam Ibn Taymiyyah, Hafiz al-Dhahabi, al-Hafiz Ibn Hajr and many more. 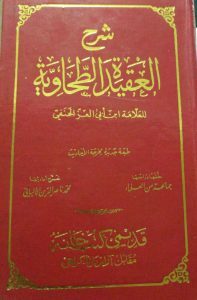 In fact Imam al-Daraqutni authored a whole book scrutinising the hadith of Sahih al-Bukhari called ‘al-Tattabu’a’, he had contention with approximately 78 ahadith. 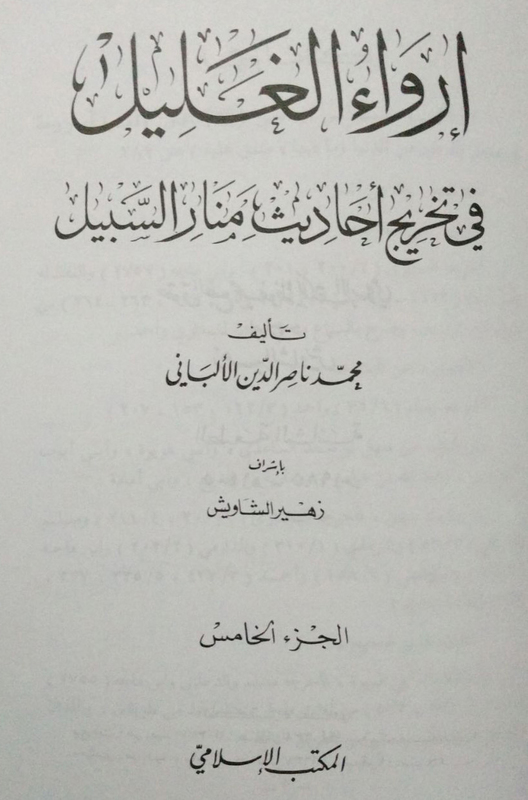 al-Hafiz Ibn Hajr responded to every claim of Imam al-Daraqutni and devoted a large part of his Hadi al-Sari clarifying the issues and concerns over Sahih al-Bukhari, the ahadith, the text and narrators. 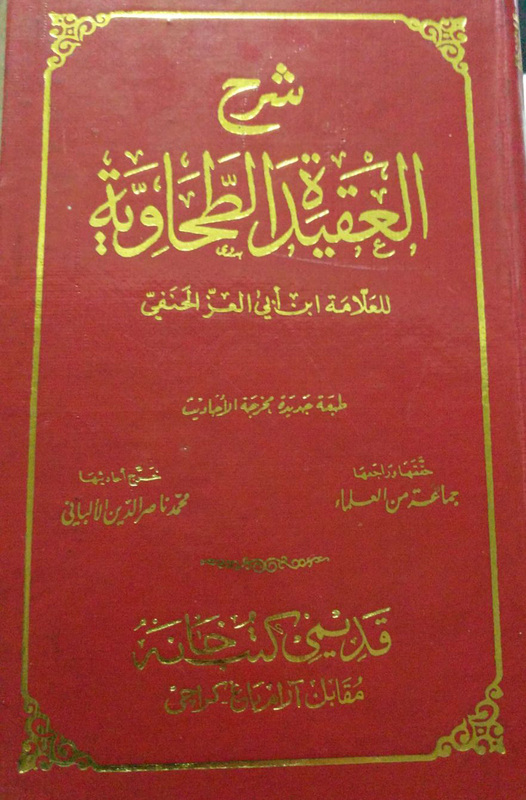 Hafiz Abu Mas’ud al-Dimashqi (d.401H) wrote ‘Atraf al-Sahihayn’, in which he contested some of the hadith in Sahih al-Bukhari, al-Hafiz Ibn Hajr answered his claims in Hadi al-Sari (1:568+). 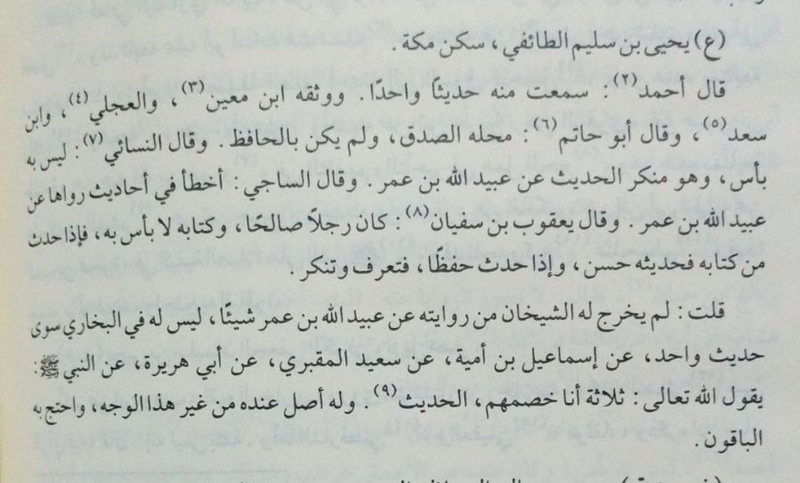 Interestingly Hafiz Abu Mas’ud al-Dimashqi also answered some of the contentions of Imam al-Daraqutni. The Imam and erudite scholar, Hafiz Ibn Abdul Hadi said the wording of one hadith in Bukhari was wrong. (Tanqih al-Tahqiq (2:104). 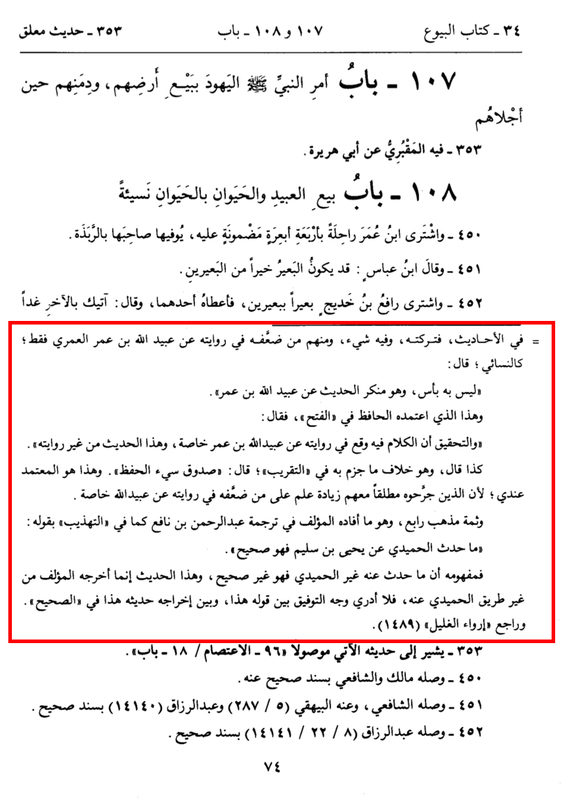 Hafiz Ibn al-Jawzi went to the extent of declaring some hadith of the Sahihayn to be fabricated!! and there are many other examples we can cite. 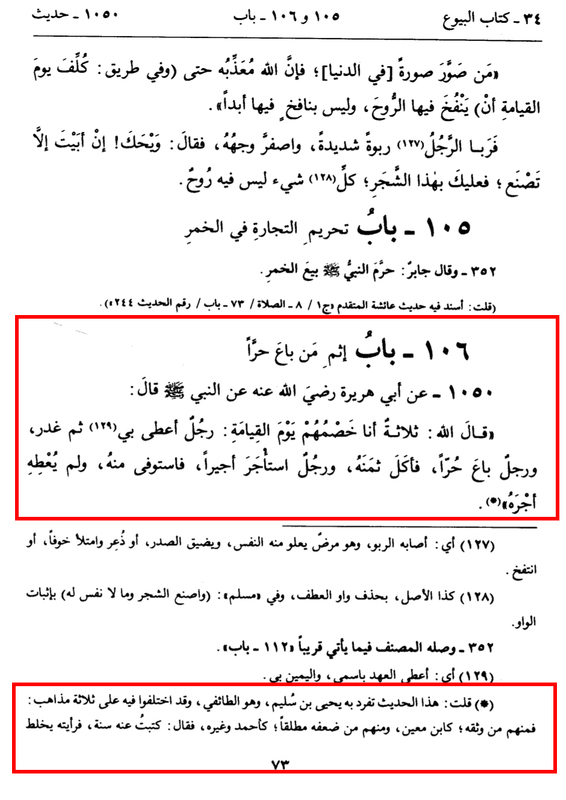 The hanafi scholars themselves have weakened so many ahadith in Sahih al-Bukhari that it is horrendously hypocritical to focus on Shaykh al-Albani and turn a blind eye to your own ‘Buzurgs.’ Well this is not something HFC should be worried about because we will do this for you In Sha’Allah, since you decided to be hero’s. 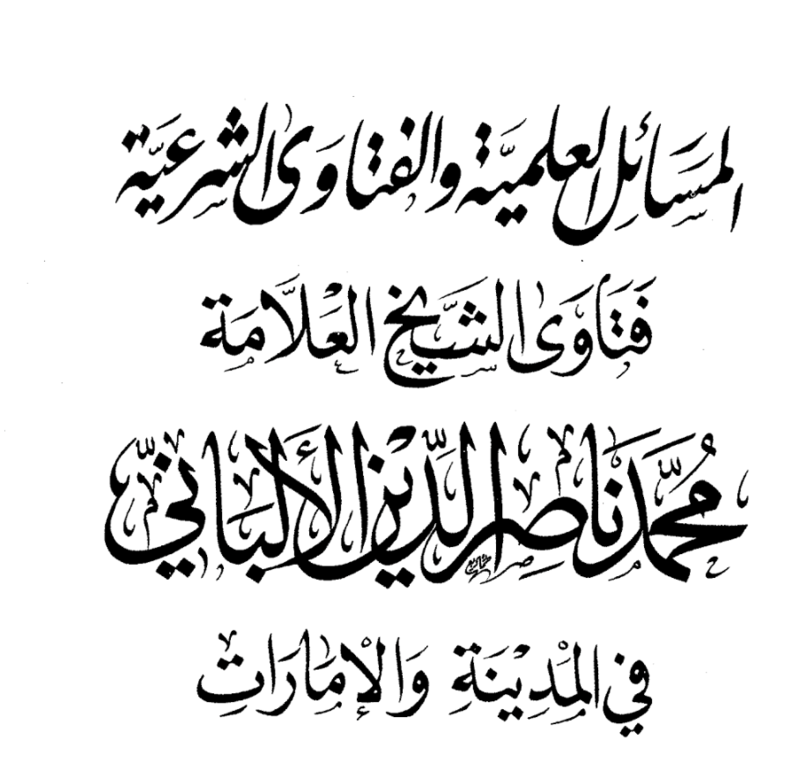 Some hanafi scholars of the past and present have weakened some of the narrators in Sahih al-Bukhari while others have weakened some of the ahadith. It is strange how the HFC have singled out Shaykh al-Albani for their attack while turning a bigoted blind eye towards their own scholars. More information regarding this is to follow. In Sha’ Allah and then we will see how HFC responds when he uncover and reveal centuries of criticism levied against Sahih al-Bukhari by the hanafi and deobandi scholars past and present. Yes and I will be mentioning ‘Sahih al-Bihari’!!!! 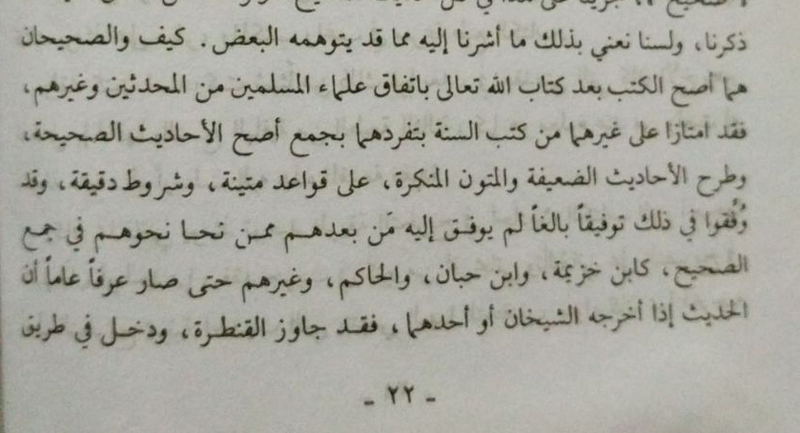 The point here is that Shaikh al-Albani applied the hadith sciences, his research and the understanding of the earlier scholars and critical analysts to Sahih al-Bukhari, and he already mentioned that he did not specifically devote time to check Sahih al-Bukhari due to its station. However, when he did, he found roughly between 10-12 ahadith he had concerns with and they varied in their nature as I have mentioned in a previous part. It is known Abdul Fattah Abu Guddah – the little Kawthari, had a lot of love for the deobandi elders and this is a stark reality which is acknowledged by everyone. Abdul Fattah Abu Guddah venerated and lauded the Deobandi scholars, he praised them and mentioned their virtues and service to Islam. Everyone knows who Hasan Saqqaf is, he is an Asharite Shafi who was staunch and bigoted. He spent day and night attacking Shaikh al-Albani and the Scholars of Ahl al-Sunnah. Since then he has manifested himself as a Khariji open clear cut Rafidhi Shi’i. 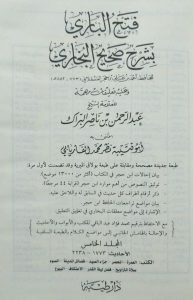 When the likes of the author of Al-Albani Unveiled praised him and lauded him titles like Shaykh and Scholar of Hadith. These people do not mention his names nowadays, I wonder why? When you attack the Sunnah and its people, this is what happens. These are the elders of the likes of HFC. 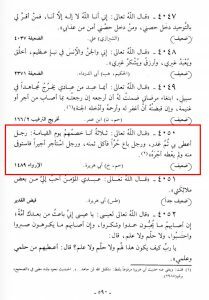 The likes of Hasan Saqqaf who attacked and reviled the illustrious companions, yet you talk about Shaikh al-Albani attacking the Sahabah Kiram!!! 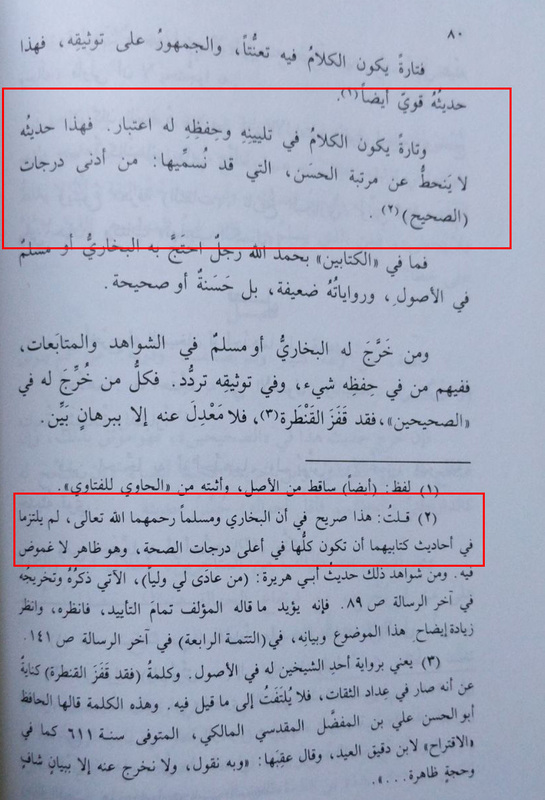 Look at the incredible immaturity of the compiler of al-Albani Unveiled, he says, “Little does he know that this hadith has been narrated by Ahmad and Bukhari from Abu Hurayra.” Now who will enlighten this genius that the Jam’e al-Saghir itself has references (i.e. Ramuz) to Ahmad and Bukhari in key form as i have mentioned previously. Since the HFC have opened this bab, everything is going to pass through. 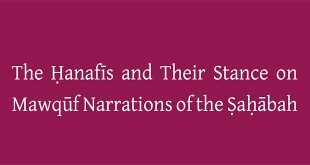 We will show in the forthcoming parts the dealings of the hanafi scholars of the past and present, in how they criticised, scrutinised and weakened hadith in Sahih a-Bukhari as well heavily criticised the narrators of Bukhari. How they used various garbs and disguises to attack the Muhadithin and Sahih al-Bukhari themselves. Rest assured, we will be looking at all of your scholars, past and present with regards to their shenanigans and playful tactics with the Sahihayn. This point relates to the fact that Shaikh al-Albani is fallible, despite being a great Imam, a Hafiz, a Muhaddith and a formidable Scholar of Hadith and its sciences in this century. If Shaikh al-Albani made a mistake, he made a mistake, we do not blindly defend him or distort reality, as this is what Shaikh al-Albani taught us, that we do not have partisanship and blind imitation of anyone other than the Messenger of Allah ﷺ. 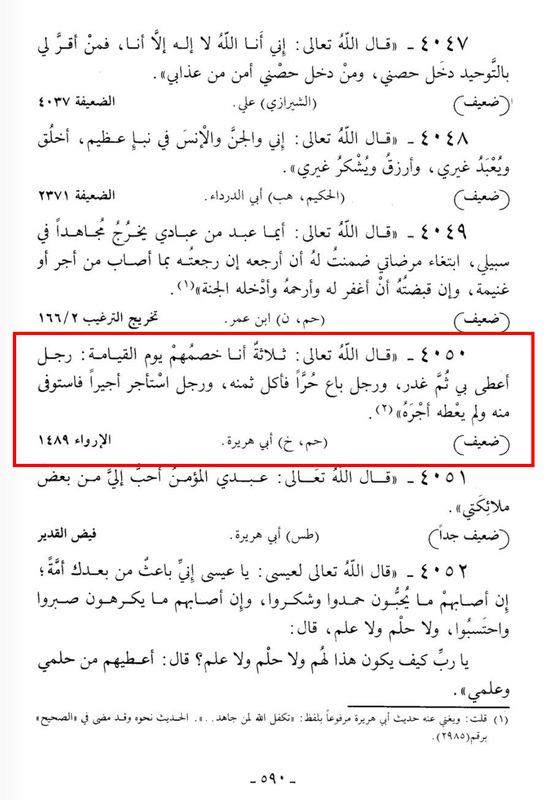 So even if Shaikh al-Albani scrutinised a hadith in Sahih al-Bukhari and indicated weakness in it, then he has a right to do based on academic research due to his ijtihad and knowledge. So he is either wrong or right i.e. he gets one reward or two rewards. This is what the scholars do, however on the other hand the despondent detractors on one hand claim they are hanafi deobandi muqallids yet on the other hand have titles like Mufti, Muhaddith and Shaykh ul-Hadith. The issue is, when a group of muqallids attempt to publicly malign, vilify and attack Shaikh al-Albani with the sole aim of propagating hate and animosity, it is only fair we look at the allegations with a fair, just and open mind. We present the facts while separating the truth from the lies, bias and distorted youtube videos. “Question: Are there weak hadith in Bukhari and Muslim? Answer: This affair is as Imam al-Shafi’i said Allah has decreed that no book should be perfect except His Book. Bukhari and Muslim took great care and diligence in the Din of Allah and thus they collated what they considered to be authentic from the ahadith of the Messenger of Allah ﷺ. 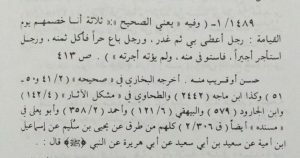 To the extent that it is authentically reported about al-Imam al-Bukhari that he had memorised 600,000 ahadith of which 200,000 were authentic and from them he selected 8,000 to be placed in his Sahih. 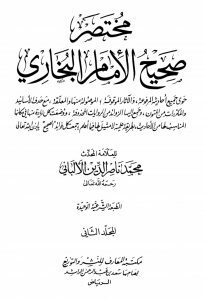 Dear readers, what has preceded is the reality regarding Shaikh al-Albani and his alleged attack on the Sahih of Imam al-Bukhari and his grading the hadith weak in it. The other examples posed by the HFC will similarly lack any form of lateral thinking due to their muqallid hanafi mindsets coupled with tahazzub, ta’assub and blind ardent fanaticism for their madhab. This fanatical extremism is not shy of hatred and animosity for Ahl al-Sunnah, the Ahl al-Hadith and the Salafi’s. These self styled young brothers, who admittedly are lay muqallids, making youtube videos, with ‘books’ behind them as their screen are most certainly pushing way beyond their pay grades. Some friendly advice to them is to humble themselves and realise and know their worth, maqam and manzilah with regards to these sacred sciences and the great scholars of this Ummah, like Allamah Rabbani Shaikh al-Muhaddith Muhammad Nasir ud Din al-Albani, Rahimahullah. 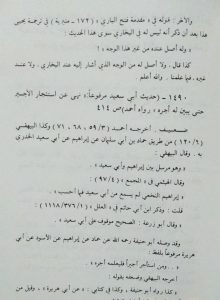 “I have mentioned these examples so that readers may be prudent with regard to matters of their religion and will have a clear understanding of the hadiths of their Prophet and be certain of the soundness of the report mentioned above: “Allah has decreed that no book should be perfect except His Book.” Thus they will also not be deceived by what has been written by some of those who want to stir up trouble against us, such as the ignorant muqallids and madhhabists who talk nonsense about what they do not know, say what they do not know and ignore what they already know. Examples of such people are the likes of The extreme one from Halab Abu Guddah – the little Kawthari, similar to his likes the Egyptian despondent Mahmud Sa’id and whoever is upon their way. One may read my refutations upon the two in some of my introductions to various books, for example my introduction to Sharh Aqidah al-Tahawiyyah, my introduction to Adab al-Zufaf Fi Sunnah al-Mutahharah, and my new introduction to Mukhtasar Sahih Muslim of Hafiz al-Mundhiri with my checking which is under print and is due to be released soon In Sha Allah with my new notes and checking. 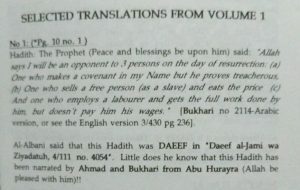 And on the other hand there are some people who have made some contributions in some fields of knowledge or in the field of da‘wah (calling people to Islam) – even if it is on the basis of their own understanding – who show audacity in refuting that which they do not like of sahih ahadith, which they regard as da‘if despite the consensus of the ummah in accepting that hadith. They do not reject it on the basis of sound principles of this noble branch of knowledge and the rules of knowledge according to the muhaddithin, or because of some doubts that they developed about one of the narrators of that hadith, for they have no knowledge of that and they have total disregard for the knowledge of people who specialise in that field. 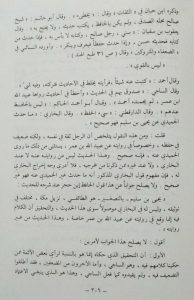 Rather they base their argument on their own whims and desires or on their education that was far removed from correct Iman which is based on the Qur’an and authentic Sunnah, in taqlid of the Orientalists and the enemies of the Din, and those who imitate them of westernised people such as Abu Rayyah al-Misri, Izz al-Din Baliq al-Lubnani, Shaikh Muhammad al-Ghazzali and others who have afflicted this ummah in recent times, who reject authentic ahadith on the basis of whims and desires, and cause confusion to some Muslims because of the fallacious arguments they present. Similar to this are those people who are occupied with this knowledge but are overpowered with bigoted partisanship (Ta’assub) for their madhabs, following their desires such that they have weakened so many authentic ahadith, For examples the likes of al-Kawthari, Abdullah al-Ghumari, his brother Shaikh Ahmad, Shaikh Isma’il al-Ansari, so whoever wants to know anything about this then let him refer to my introduction to Sharh Aqidah al-Tahawiyyah and the introduction of my books Adab al-Zufaf Fi Sunnah Mutahharah and others where you will find the most surprisingly astonishing things.